A tiny fairy with an interest in treasure. 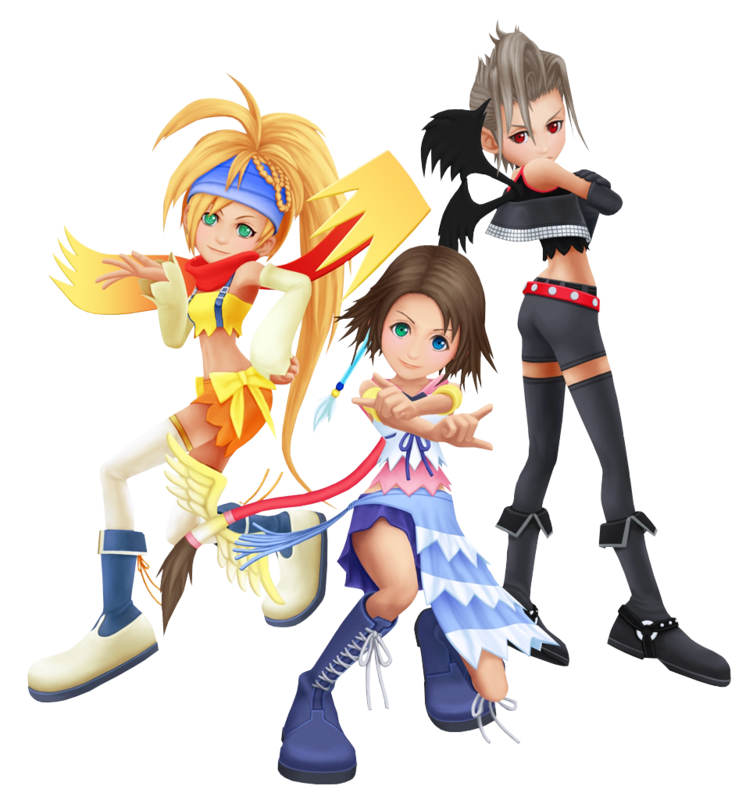 Yuna is never seen without her two partners in crime, Paine and Rikku and the three work together towards a common goal. At first Yuna and her friends worked for Maleficent, spying on the Hollow Bastion Restoration Committee and Sora, Donald and Goofy. They were fooled by Donald into thinking Leon had treasure, and thus switched sides. They even fought alongside Sora when the Heartless threatened to destroy Hollow Bastion. Eventually the truth came to light, yet Yuna forgave Sora, Donald and Goofy for fibbing. She wasn't an evil pixie at heart, and so preferred to help the trio by granting Sora a Keychain to help him on his quest.